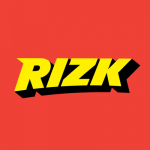 Rizk Casino - New Players Receive a 200% Bonus Match! 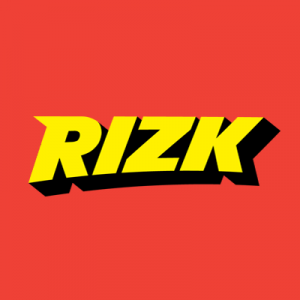 Rizk Casino is a new online casino that exploded into the gambling world in January 2016. Run by a Maltese based company, MT SecureTrade Limited, it is already rated as being one of the safest and most exciting gambling sites on the internet. The casino is part of the Oslo based Gaming Innovation Group and for this reason it offers multiple languages and currencies of the Scandinavian countries, which include Finland, Norway and Denmark. The casino is also available in New Zealand, United Kingdom and Canada, and supports the use of their dollar currencies. With a superhero theme, the eye catching Captain Rizk welcomes all players with a smile and he offers a brilliant Welcome Bonus which we will outline in our review. Rizk Casino is innovative and fresh and is designed to cater to newcomers as well as the seasoned player. This casino is becoming very popular because of its interesting features and real rewards, for example The “wheel of rizk” is a very interesting and fun feature. As you play slots and casino games at Rizk, you fill up your personal Rizk Power Bar which levels up and when it’s full, you win one free spin on the wheel. The higher the level you reach the more lucrative the prizes on the Wheel become. Prizes include real cash rewards, bonus spins, raffle tickets and prize draws. There is also a skull on the Wheel, and if you land on it, you win nothing! As a new player at this casino, you’ll immediately be offered a huge warm Welcome Bonus of a 200% match for deposits up to $/€ 100 and 50 free spins! This means that if you deposit $/€ 50 you can start playing today with $/€ 150! We highly recommend that you read all the Terms and Conditions carefully before accepting the deposit as it is always very important to know how the bonus system works before you decide to accept it. This Welcome Bonus is subject to a 45x wagering requirement. This means that before you’re allowed to cash in any bonus funds you will be required to play the bonus 45 times. For example: Should you deposit $/€ 20, your Welcome Bonus will be $/€ 60 ( $/€ 20 cash and 200% = $/€ 40 bonus) and you will have to wager the $/€ 60 forty five time. Another important consideration outlined in the Terms and Conditions is that the bonus will expire after 30 days. Fulfil your wagering requirements by playing on all the slot games, classic slots count for 75%, table games and live casino contribute 10% and video poker games are not allowed to be played with bonus money. The Welcome Bonus is not available to players residing in: Poland, Bulgaria, Hungary, Greece, Romania, Croatia, India, Ukraine, Pakistan, Indonesia, Russia, Portugal, Czech Republic, Slovakia, Latvia and Thailand. The casino also offers some intersecting and lucrative promotions and players that enter a competition can win trips to big sporting events such as the Summer Olympics in Brazil, or a trip to the X Games in Oslo. Ensuring a wide variety of accepted currencies and payment methods is an important factor when it comes to choosing an online casino. In its efforts to provide its customers with as many options as possible, Rizk Casino works with the Euro as its basic operational currency, but accepted are also USD, GBP, CAD, AUD, SEK, NOK, and NZD. The payments page is clearly laid out and easy to use. When you’re ready to make a deposit or withdraw your funds, you can easily do so with a large variety of options including Visa or MasterCard, which come with a 2.5% free, most e-Wallets like Neteller, Skrill or Paysafecard which have no fees attached. When you register an account and make your deposit, your minimum allowed is $/€ 10 and the maximum is $/€ 5,000. Withdrawal times are as follows: For Bank Wires count on between 1 – 3 days and for Credit Cards, Debit Cards, Neteller, PaySafeCard and Skrill between 1-7 days. Ritz offers over 400 games developed by leading software providers such as NetEnt, BetSoft, NextGen Gaming and Microgaming. The games are neatly organized so that players can find them immediately by category like Provider, Live Casino, Jackpot, Have You Tried? Rising Stars, Action, Hollywood and Horror. Games are also intelligently grouped by Classic Slots, 3D Slots, Video Poker and Table Games, but you can also search for your favourites by their name or in alphabetical order. The casino offers some of the latest 3D Slots. Enjoy hours of gaming on great titles such as Glorious Empire, Cirque du Soleil: Kooza and Warlords: Crystals of Power. Look for the lucrative Mr. Vegas, The Godfather, A Night in Paris and Enchanted as they offer impressive 3D graphics. There is also a great selection of Progressive Jackpot slots and amongst the 20 titles in this category are are Mega Moolah, Hall of Gods, Mega Fortune, and Arabian Nights. Ritz casino is an instant play gambling platform and the games are of exceptionally high quality, with impressive graphics, authentic audio effects, and special features. Some of the Popular titles powered by NetEnt include slots like Starburst, Twin Spins, Gonzo’s Quest, Hall of Gods, South Park: Reel Chaos and Mega Fortune. For games produced by Play’n GO, enjoy Tower Quest, and Grim Muerto. Also featured at Ritz are Evolution Gaming, Betsoft, QuickSpin and many more. Although the main focus at the casino is geared towards top quality and impressive slot games, there is lots available for Roulette, Blackjack and Video Poker. Roulette comes in European, French and American and there are low, standard and VIP stakes for Blackjack. Fans of Video Poker can also enjoy a nice range of games which include Jacks or Better, Deuces Wild and Joker Power. Rizk Live Casino is powered by NetEnt Live and Evolution Gaming and at the Live Casino, you can play your favourite table games for real money against live dealers from the comfort of their own homes. In order to enter the Live Dealer Rizk Casino, players must create a real money account as free play is not available. In a very simple a quick process, register, make your deposit and then you can enjoy an authentic casino environment with web cameras and other top-notch technological solutions. As mobile casinos are becoming the most popular way to casino games, many online casinos offer either a dedicated app or full mobile compatibility, and Rizk provides its customers with both choices. Its mobile version is fast and responsive and pages are loaded effortlessly on all Android and iOS devices. Regardless of whether your mobile device is Android, iPhone or tablet, the Mobile Rizk Casino can be opened directly from the browser of your device. Alternatively, players can download the app from Google Play or the App Store. As a relatively new casino, Rizk doesn’t have hundreds of games yet, but as new titles are being added continuously, they soon will! Currently, players can choose from over 150 slots games, including classic slots such as Glow, Batman, Jack Hammer, Game of Thrones, Guns N Roses and Fire Joker. There are also several jackpot slots like Mega Moolah and Mega Fortune. Mobile players also have access to all promotions as well as to the Wheel of Rizk for the possibility of massive rewards. Rizk Casino is licensed by two of the largest and most trustworthy regulators in this sector, the Malta Gaming Authority and the UK Gambling Commission. This means that strict European Regulations do not allow for dubious gambling activities. The casino also uses modern Secure Socket Layer data encryption algorithms to protect all communication between the site and the browser, so all the user data, personal and banking information remains private. This is incredibly important for the player’s safety and security, especially today when cyber crime is common. In addition, all deposits and withdrawals are secured through Payment Card Industry Data Security Standard security protocols. There isn’t a dedicated telephone line but clients can contact the Customer Service team at email address [email protected] or for a faster response via the Live Chat interface. In summary, Risk online casino deserves the highest scores due to its transparency and fairness, game selection, creativity and transparency. Captain Rizk is a nice touch and combining their creativity and experience with the large portfolio of games and an efficient and easily contactable customer service team, you can relax in the comfort of your home and enjoy many hours of satisfying and fun gambling. Register at Rizk, become a new player with them and enjoy the huge Welcome Bonus and free spins, we can assure you it will soon become your gambling favourite.